Outdoor News August 10, 2018 - Explore! 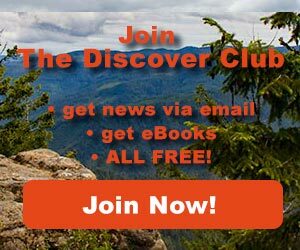 Outdoor News August 10, 2018 - Explore! 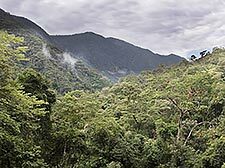 On Monday, Rainforest Trust announced that it has helped establish an important new reserve at the eastern gateway to Podocarpus National Park, which holds the greatest concentration of biodiversity in Ecuador. Rainforest Trust teamed up with local partner Fundación Jocotoco to purchase the 370-acre private property that houses ecotourism facilities with the objective of helping protect the threatened tropical forests beside the national park. In celebration of 50 years of National Scenic Trails, REI Co-op is investing a total of $643,000 in 17 nonprofit organizations dedicated to stewarding and maintaining the country’s 11 National Scenic Trails. REI has supported these efforts for nearly two decades and since 2002, has invested nearly $3 million in National Scenic Trails. Appalachian Trail: REI is investing $48,100 in four nonprofits dedicated to stewarding the Appalachian Trail: Appalachian Trail Conservancy, Georgia Appalachian Trail Club, Appalachian Mountain Connecticut Chapter, and Potomac Appalachian Trail Club. Projects include adding signage and information kiosks, and providing vital repairs to high-use sections of the trail. The Appalachian Trail stretches 2,190 miles and touches 14 states. 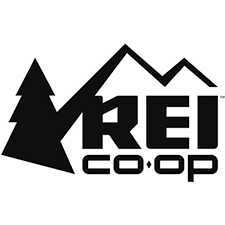 REI has invested over $780,000 in the Appalachian Trail to date. Continental Divide Trail: REI is investing $25,000 in the Continental Divide Trail Coalition to add signage along the trail and support trail maintenance efforts. The Continental Divide Trail runs 3,100 miles from New Mexico to Montana. REI has invested over $340,000 in the Continental Divide Trail to date. Pacific Crest Trail: REI is investing $25,000 in the Pacific Crest Trail Association to repair sections of the trail damaged by wildfires in California. The Pacific Crest Trail extends 2,650 miles through California, Oregon and Washington. REI has invested over $284,000 in the Pacific Crest Trail to date. Beyond grants, REI’s investment in nonprofits includes the contribution of volunteer hours and hands-on stewardship. At REI stores across the country, the co-op supports and promotes nonprofits’ efforts to engage volunteers in caring for outdoor spaces, and REI employees often join in their causes. The co-op is inviting members to join in its support of National Scenic Trails and has created a collection of gear and apparel to celebrate 50 years of National Scenic Trails. 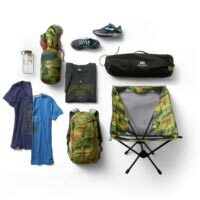 REI will donate five percent of the purchase price of each item from the collection to provide support for nonprofit organizations working along all 11 National Scenic Trails. To shop the collection, click here. U.S. Dept of Interior Secretary Ryan Zinke is coming to Steamboat Springs this evening and residents are organizing a Colorado “welcome” for him to show their support of public lands. Secretary Zinke will be addressing the Steamboat Institute's Freedom Conference. The conference brings "leading conservative thought and policy leaders" to address the participants. This year, in addition to Zinke, Shannon Bream of Fox News will be speaking. Tonight's “Stand for Our Land” rally is independent of the Freedom Conference. It has been organized by a coalition of local Steamboat organizations concerned about the current Administration’s public land priorities, and they invite supporters from across western Colorado to attend. Speakers representing agriculture, outdoor recreation, environmental awareness and climate change will address the rally, focusing on the role that responsible public lands management plays in their sector. The event will feature live music, community participation and voter registration. Participants are encouraged to bring signs highlighting what public lands mean to them. 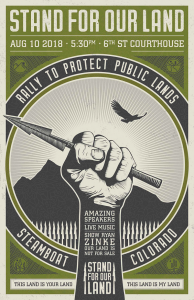 The first 200 participants will receive free “Stand for Our Land” t-shirts. Residents, press and media are welcomed to join the “Stand for Our Land” rally, in person or via a live Facebook feed from the event. What is the Pacific Northwest Trail (PNT)? 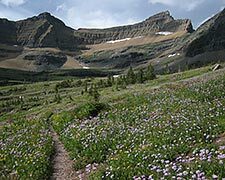 The Pacific Northwest Trail is a continuous route from the Continental Divide in Montana to the Pacific Ocean in Washington. First proposed in the 1970s as a long-distance non-motorized route, it provides access through some of the most spectacular and diverse landscapes in the United States. In 2009, Congress designated the PNT as a National Scenic Trail and gave administrative responsibility for the trail to the USDA Forest Service. So begins eight pages of questions and answers about the Pacific Northwest Trail recently published by the U.S Forest Service. If that piques your interest, check out the Forest Service's website and the Pacific Northwest Trail Association's website. Outdoor Recreation NI has published a new website that highlights all sorts of outdoor recreation opportunities in Northern Ireland. The effort was supported by the Northern Ireland Department of Agriculture, Environment and Rural Affairs, Northern Ireland Environmental Agency, and SportNI. The website features an interactive map that allows users to choose from among any or a combination of walking, cycling, canoeing, mountain biking, parks, forests, beaches, and nature reserves. Once a subject area or location is found, a click on the map displays more information about the opportunity including the route involved. The pop-up information bubble also includes a link to a page describing the opportunity and offering a road map to help you get there. In addition, the map can be refined to highlight, for example, surfing beaches that are free and have restrooms, so you can find exactly what you want. Check it out at outmoreni.com. Even if you aren't planning to be in Northern Ireland, the system used to display the maps (openlayers.org) might be useful if you think a similar interactive system would help with your marketing efforts. Save now on Good To-Go Dehydrated Meals – Free shipping on orders over $75 – SHOP NOW! Top Rated Cycling Accessories, Components, Clothing, and Gear on Sale at Nashbar.com. Sale ends Sunday! If you click on a product link in this email and purchase something from the vendor's website, we get a small percentage of the sale price. This costs you nothing and helps us keep EXPLORE! 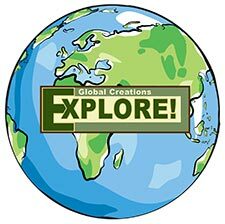 The eMagazine for Adventure and Exploration going. Don't want to buy anything? 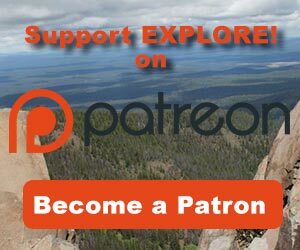 Consider becoming a Patron. Click the button to the right. You make EXPLORE! possible. Thank you for your support!! 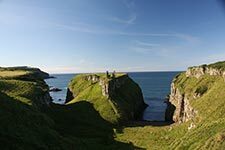 There are a lot of outdoor adventures to be had in Northern Ireland as the OutMoreNI website suggests. This week's video features aerial views of the Dunseverick Waterfall located on the County Antrim coast.